Nowadays, iTunes has become an application for Apple users to ensure the files on their devices are backed up and synced when it is necessary. 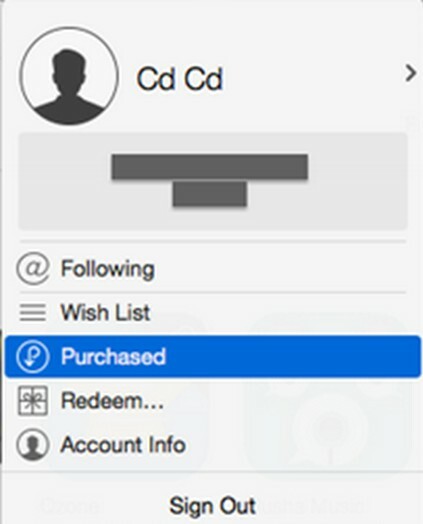 Users can also purchase contents in the iTunes Store easily. iTunes can also be applied to play music and movies to enjoy the convenient viewing experience. Therefore, more and more people begin to find ways to backup iPhone to iTunes, especially movies and songs. How to make it is just what we will discuss in this guidance. If you have bought some movies on iPhone, you actually can resort to backing up your iPhone to iTunes for your convenience. After you make it, you can enjoy watching your favorite movies via iTunes on computer at ease. In order to do so, the sync function of iTunes can be made use of. The detailed steps are shown below. 1. In order to solve how to backup my iPhone to iTunes, you first need to run the latest version of iTunes on computer and then insert iPhone into computer with matched USB cable. iTunes will recognize your iPhone automatically. 2. Go to “Edit > Preferences > Devices” and then choose “Prevent iPods, iPhones, and iPads from syncing automatically” and put a checkmark in the box beside this option. 3. Navigate to “File > Devices > Transfer Purchases from ‘iPhone’”. Afterwards, the iPhone purchased movies will be transferred to iTunes. Thus, the goal of backing up your iPhone to iTunes can be achieved. This solution to solve how to back my iPhone up to iTunes is easy to handle. You can use this method to realize your goal without any difficulty. If you have goal to transfer purchased and non-purchased music from iPhone to iTunes, you could also explore the usage of iTunes. If you do not want to use the sync function of iTunes, you can also take advantage of iTunes Store to help you to backup iPhone to iTunes. As for resolving this issue, you only need to log into iTunes Store on computer and then redownload the movies you need. Now you can check out the following steps to help you. 1. In order to settle how to backup my iPhone to iTunes, especially movies via iTunes Store, first you need to run iTunes on computer and make sure it is the latest version. Plug iPhone into computer via proper USB cable and then tap on “Sign in” from the top left corner of the iTunes interface. 2. In the pop-up panel, use your “Apple ID” and “Password” to log into iTunes Store. 4. Click on “Movies” tab in the interface and then tap on “Not in My Library”. After that, you can choose the movies you desire to redownload to iTunes by clicking on them. In the end, click on the iCloud download button at the upper right corner of the movies to realize your goal of backing up your iPhone to iTunes. If you want to redownload music to iTunes from iPhone, this method can also be used and you just need to click on “Music> Not in My Library” to make it. The two solutions of backing up your iPhone to iTunes can only be applied to the purchased contents. If you want to transfer non-purchased movies to iTunes, you can resort to a third-party program to assist you. Email is also a good method that you can resort to. You just need to send the movie from iPhone to computer and then add it to iTunes library. Follow me to check out the following paragraphs and you will know how to reach this target. 1. Pick up your iPhone and then choose the movie that you want to transfer to iTunes. Click on the movie file and then hit the “Share” button to call out the means to share the movie file. 2. Choose the “Mail” option to click on. 3. 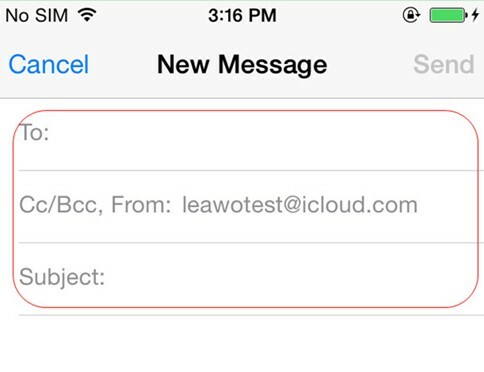 In the next interface, you can fill in another address of your mail box and then click “Send” button to send the email that contains the movie attachment to your computer. 4. On your computer, navigate to the mail box of yourself to receive the new email and then download the movie attachment to computer local folder for later use. 5. Run iTunes on computer and make sure it is the latest version. Afterwards, hit “File> Add File to Library” or “File> Add Folder to Library” to add the iPhone movie that downloaded from the mail on computer. In a few seconds, your iPhone movie will be available on iTunes library. If you’ve got one matched USB cable at hand, you can also apply it to transfer movies from iPhone to iTunes easily. The detailed steps to make it are shown below for you to refer to. 1. Connect iPhone to computer with the proper cable and then hit on “Trust” on your iPhone. 2. 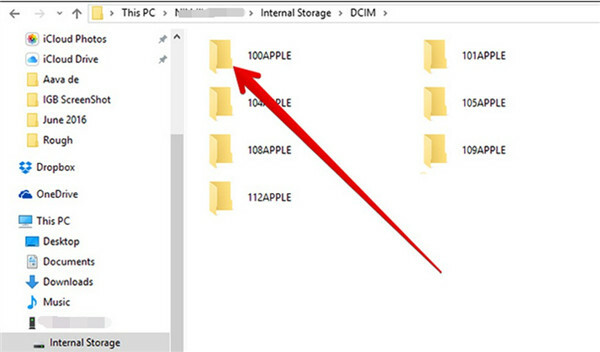 On your computer, you need to open “Windows Explorer” and then click on the icon of your iPhone device. Move to “Internal Storage> DCIM” to check all the iPhone videos and pictures in this folder. 3. Select the iPhone movies that you desire to add to iTunes. Copy and paste to a local folder on your computer. 4. After that, you can refer to the fifth step of Part 3 to add iPhone movies to iTunes library directly. 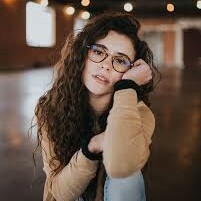 This solution is not hard to handle, but you should know that it only fits for the videos that are taken from the camera of iPhone. Dropbox is a kind of online backup service, which is applied for file sharing between devices. Therefore, it can also be used to transfer movies from iPhone to iTunes as well. You just need to transfer iPhone movies to computer first and then add to iTunes library. Now let’s start to see the steps in detail. 1. 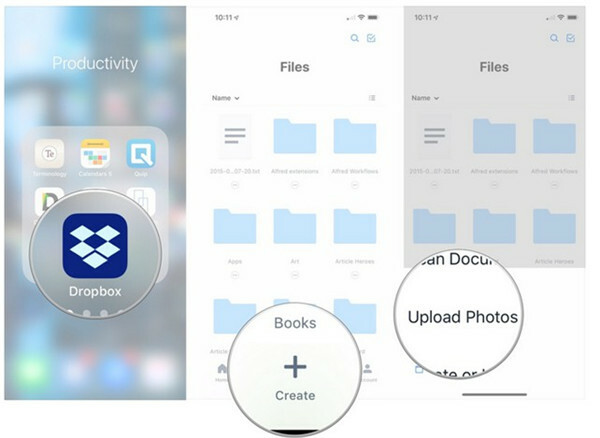 On your iPhone, run Dropbox and then click on “Files> Create> Upload Photos” successively to choose the iPhone movie that you would like to transfer to iTunes. 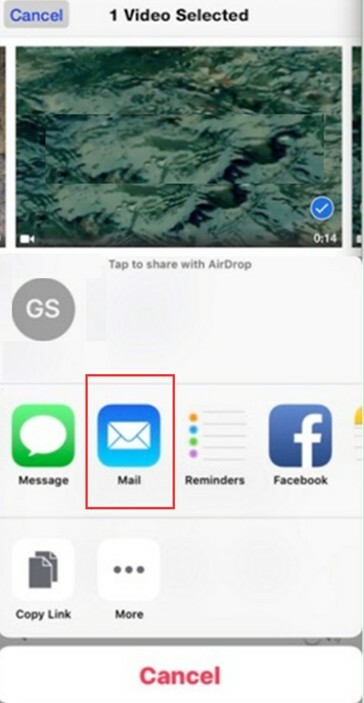 Follow the screen instructions to get iPhone movies to Dropbox folder. 2. After that, you need to navigate to Dropbox on computer and sign in to the same account that you are using on iPhone. Thus, the movies that you have uploaded on Dropbox from iPhone can be available on computer. 3. Move to the folder that saves the iPhone movie files and then right click on the file name to hit “Download” button to export them to computer local folder for later use. 4. Run iTunes on computer and then refer to the fifth step in Part 3 to import iPhone movies from computer folder to iTunes library. The problem of how to transfer videos from iPhone to iTunes can be settled by various methods. However, as for the non-purchased movies, you can make use of Leawo iTransfer to help you. 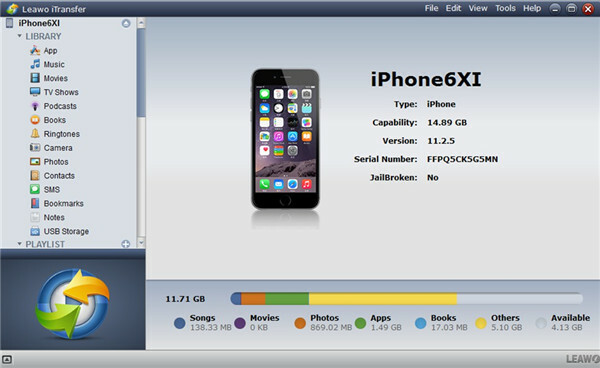 This software is easy to use and can backup various contents from iDevices to iTunes or to computer, such as videos, songs and etc. The powerful function of this tool can be shown in this part. The detailed steps on how to transfer videos from iPhone to iTunes via iTransfer are listed below for your reference. Open iTransfer on computer and plug your iPhone into computer with proper USB cable. The information of your iPhone will show in the interface automatically after the detection of the software to prepare to solve how to back my iPhone up to iTunes, movies for instance. Click on the iPhone icon and then move to “LIBRARY > Movies” to choose the non-purchased movies in your iPhone. When you have chosen the non-purchased videos, you can right click on one of them and then tap on “Transfer to > iTunes”. Afterwards, check “Transfer to List: iTunes” in the pop-up dialog. 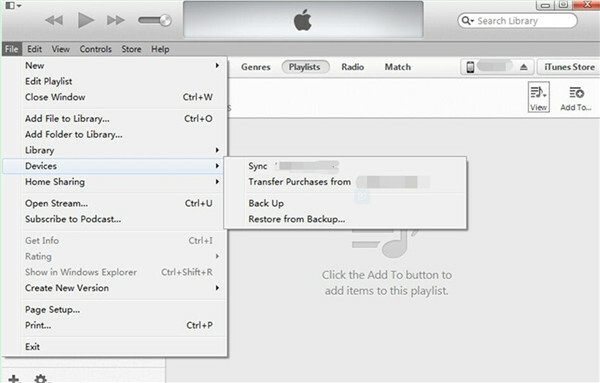 In the end, you need to click on the button of “Transfer Now” to begin backing up your iPhone to iTunes. If you have podcasts files on iPhone, you could also move the podcasts files from iPhone to iTunes for backup. When the transfer process comes to an end, the issue of how to transfer videos from iPhone to iTunes can be solved perfectly. As you can see, the process is accurate with high efficiency. If your computer is Mac, you can download Leawo iTransfer for Mac to have a try.